"The EMPOWER member team presented to my employees on how to get the best out of their pension plan." Pension education for members in group presentations and individual consultations. "The Client Services team helps me with any questions I have about our company pension plan." Our dedicated Client Services Team aims to support you in the efficient operation of your pension scheme. "I use Pension Planet Interactive regularly to keep track of my company pension plan." Pension Planet Interactive offers you comprehensive information and great online functions. "With the support of the Benefit Solutions Team we restructured our company pension scheme." The dedicated Benefit Solution Team in Irish Life Corporate Business supports you in building a sustainable, flexible and credible pension scheme. 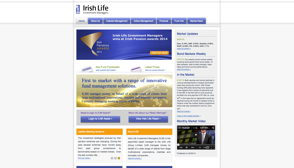 "I get plenty of guidance from Irish Life Corporate Business on how to submit pension contributions and schedules." 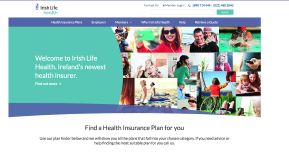 With this facility contributions are downloaded from an employer's payroll system and submitted to Irish Life Corporate Business electronically. This video explains how the EMPOWER Personal Lifestyle Strategy works. Lifestyle strategies adapt risks and security of investing pension savings over different stages of a member's life. 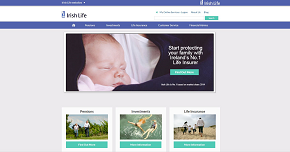 As a customer of Irish life Corporate Business you have a choice of payments available to you, when paying your pension contributions or risk premiums. The vision for Irish Life EMPOWER is to help deliver better outcomes to your staff in retirement.